Huawei's sub-brand Honor will launch the first device of the Honor 20 series, Honor 20i, on April 17. The company has already started taking pre-orders in China. The pricing details of the phone haven't been made public. 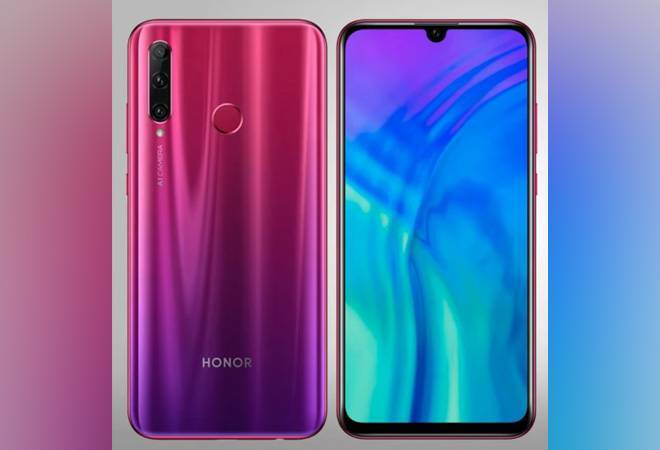 Buyers can, however, pre-order the 64GB variant of Honor 20i at just CNY100 (Rs 1,000). The Honor 20i is expected to be a selfie-centric smartphone and will be available in three colour variants in China, namely Gradient Blue, Gradient Red and Magic Night Black. The phone will also be made available in three models -- a 6 GB RAM and 64 GB storage, 4 GB RAM and 128 GB storage and 6 GB RAM and 256 GB storage. As far as the specifications are concerned, Honor 20i has a big 6.21-inch full HD+ (1080x2340 pixels) IPS LCD display with 19.5:9 aspect ratio and 90 per cent screen-to-body ratio. It is powered by Kirin 710 octa-core processor and comes with Game Turbo 2.0 onboard for the smoother gaming experience. The Honor 20i is also TUV Rheinland certified, which will protect users from blue rays emitted by the screen. The phone will run on Android 9.0 based EMUI 9.0. The optics of Honor 20i includes 32-MP selfie camera with AI-driven beautification features. At the back, there is a triple camera setup - with one 24-MP sensor with f/1.8 aperture, another 8-MP wide-angle sensor, and a 2-MP depth sensor. Lastly, the connectivity features of Honor 20i include dual-SIM, 4G VoLTE, Wi-Fi 802.11ac, Bluetooth 4.2, GPS, micro USB 2.0 and 3.5mm audio jack. Meanwhile, on May 21, Honor will hold a launch event for the Honor 20 series smartphones in London. Honor is also expected to unveil Honor 20, Honor 20 Pro, and Honor 20A at the event. Alongside Honor 20i, the company would also launch Honor Magicbook 2019 with improved graphics and battery when compared to the last year's Magicbook.